Behind the cute name, fun template, and the larger-than-life name is a blogger with a goal: to clear up any confusion related to taxes, tax code changes, and the like. On a weekly basis, this blogger provides step-by-step tax tips to help ensure that readers, accountants, and business owners file on time with a few difficulties as possible. She even offers an easy-to-check countdown until the 15th of April—also known as dreaded tax day in the United States. This is a great resource for students who are still learning to file taxes, or for future accountants to learn important tips and tricks along the way. This blog offers posts regarding the importance of honesty, integrity, and clarity when it comes to accounting and taxes. The U.S. government’s Internal Revenue Service (IRS) branch does not take it lightly when taxes appear to promote the opposite. This blogger is on a mission to emphasize the repercussions for dishonest taxes filings, with informative posts such as, “What is Financial Statement Fraud?” and more. As her tagline notes, she focuses on forensic accounting, investigations, expert services, and more. This blog is maintained by a CPA and journalist who has over 25 years of experience in consulting and professional services. She has contributed articles and analytic pieces to Forbes and American Banker. Covering everything from fraud cases to news stories, this blog offers all of the details that accounting students are in need of. In today’s world, marketing is a crucial element for a brand or individual’s success—and that includes accounting firms. Whether an accountant is looking to promote growth and awareness of their company, or of themselves, this blog offers pointers to gain more attention. Created to provide tips, analyze trends, and share ideas to help companies market their accounting firms, this blog is the right place to begin. Designed for young, up and coming professionals, this blog serves to offer important information to students and newly graduated individuals regarding the status of the industry, news, and more. It also hopes to offer information that will help craft new leaders in the financial world. Accounting can be a heavy subject. 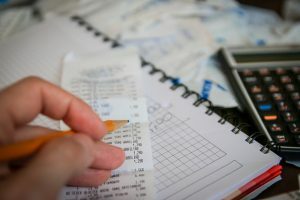 Crunching numbers and pencil pushing are important aspects of the United States’ financial records, government spending, and the economy, overall. That means that, at times, accounting can become stressful. To lighten up one’s studying or to de-stress, why not head over to the Mark’s Acc Jokes blog to find accounting-inspired jokes, puns, and song parodies. It will lighten the mood without breaking one’s focus! FNU is proud to offer three programs to shape future accountants. Whether an individual is hoping to learn in a traditional classroom on campus, or if they are hoping to learn online, FNU has the right option. FNU’s accounting programs are highly regarded as the top tier—in fact; the University was awarded a spot in the Top 20 Best Online Bachelor’s Degrees in Accounting. Bachelor of Science: provides students with a solid academic foundation for entry into professional careers in accounting-related areas of business and government. The program also prepares students to pursue advanced education in accounting and accounting-related fields. Students are cautioned that the Bachelor of Accounting degree alone will not satisfy the eligibility requirements to sit for the Uniform Certified Public Accounting Exam or to practice as a CPA in the State of Florida. Associate of Science: prepares the student for employment as an entry-level accountant, bookkeeper or general accounting clerk. The program is designed to provide the student with an intensive background in general accounting procedures and principles, business principles and automated accounting procedures. The program includes a twenty-three credit-hour component of general education/liberal arts courses. FNU awards an Associate of Science Degree upon graduation. Associate of Arts: designed for students planning to pursue a higher-level degree in Accounting as well as to prepare the student for employment as an entry-level accountant, bookkeeper or general accounting clerk. The program is designed to provide the student with an intensive background in general accounting procedures and principles, business principles and automated accounting procedures. The program includes a thirty-nine credit-hour component of general education/liberal arts courses. FNU awards an Associate of Arts Degree in Accounting upon graduation. Find out which degree is right for you. Review a list of the programs offered at FNU. Compare and contrast various program descriptions and research potential career paths. 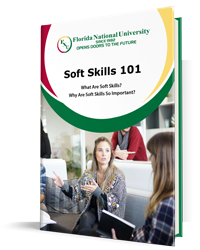 You will be on your way to a new degree and a new career path in no time. If you are ready to get started on this exciting journey by enrolling in a highly regarded, accredited program, apply today!